We’re all familiar with Bollywood movies; it is after all multi-million dollar industry with blockbusters that enthral millions. Many of them are romances of a kind. Yet when it comes to fiction, contemporary literature, diversity in romance is still a bit grey around the edges. Don’t get me wrong, Mills and Boon-Harlequin by another name-has an armada of different nationalities. Many of the characters are Greeks, Italians, there might a few Russian Oligarchs, British Aristocrats and a few American Lieutenants and Medics in the mix. I don’t remember seeing many-if any-characters of Indian ascent; perhaps I missed that part of the library shelf, I don’t know. 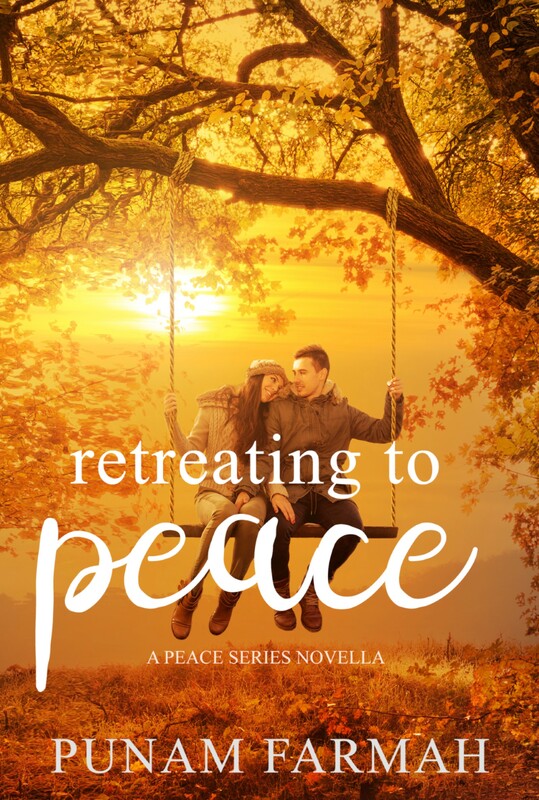 I dovknow that I saw a gap, especially having written Retreating to Peace: A Peace Series novella. The main protagonist, Devan Coultrie, is of a mixed heritage, but without him, I wouldn’t have even contemplated writing Kangana. There is a lot to consider when it comes to books with characters from BAME backgrounds. There are authors from BAME groups. I remember seeing Bali Rai’s (Un)Arranged Marriage in the library as a teenager. I grabbed it, read it, and was overjoyed that it existed. I was amazed, that an author from BAME background existed. I’ve also experienced reading Meera Syal’s work; she is a national treasure, I tell you. Meera Syal and Nina Wadia are probably the most recognisable women of South-Asian ascent in the British Media and should be celebrated for their contributions; they certainly motivate me. The pool of diverse authors is small, but does exist. I guess, that is the pool that I have inadvertently fallen into. Be it by background, be it by what I have chosen to write. I don’t class Kangana to be the same as Bollywood movie, I’m loathe to even call it a bollywood romance. It’s difficult to put a label on it, but I would say it is diverse. It contains characters, narrative and experiences that are had by characters that we don’t necessarily see on the typical library, book shop, shelf. The setting isn’t exactly New Delhi, Mumbai or Bangalore either. The book opens in Midlands, there are references to the BMAG, Sarehole Mill and also the Sea life centre. After all, I am a Brummie Born and bred. There had to be a strand of Birmingham in there. So, there are some teasers below, the blurb too. Why not try and read something different today? Kangana is available in both paperback and ebook. Links are on the sidebar. The rainbow cover is very important to me, and really does reflect the colours on the wind. This is a book that attempts to address different aspects of diversity and the cover had to underline that. Don’t just take my word for it either. Having grown up watching Bollywood movies, these have shaped my view of romance. Trouble is, there’s not a lot of literary romances where there are characters of Indian-ascent. This rather ticked me off. Seeing the Mill’s and Boon’s shelf in the library, I was a bit perplexed by the diversity. There were quite a few about Rich Greeks, Middle Eastern Sheikhs, lots of hedge fund millionaires. Where is the Indian representation? All right, Devan Coultrie isn’t a millionaire. He is however, of mixed heritage and falls in love with a woman who is of Indian-ascent. I might have mixed things up a bit. I didn’t see a book with a fella of Indian ascent, so I created one. I’ve created another, and you’ll find him in Kangana. Anyway, Retreating to Peace. Book nine, ten, I forget which one; is part of the Peace Series of Novellas. Set in Montana, it is a lego brick that builds on the brain-child of S.H. Pratt. After writing Fragments, my pen’s were listless and I needed a sorbet to re-align my writing faculties. I felt at a real loss, a real loose end, having finished Fragments. I found Peace by fluke, but I wanted to engage. I worked as part of a whole team of authors, who wrote a story centred on Peace Montana. I had to hit the ground running; I’ve not really had anything to with romance writing, and alongside the diversity thing, I wasn’t really keen on happily ever after. This was and is a fantastic writing collaboration. A collaboration that gave me the impetus to write another romance, to have a character of Indian-ascent. The group are supportive beyond measure, and have really kept me buoyant when my writing mojo really did go a bit skew-whiff. Retreating to peace is hopeful, there is renewal in there again. There is most certainly regeneration in there. Whilst checking out RTP, don’t forget to check out the rest of the series too! This was a very different book to write in comparison to the two gardening books. I wasn’t sure how to approach writing fiction, and this was an extremely experiential process. I remember writing in a fury, wanting to get emotions, images and experiences onto paper, and tell stories. This was a book that took a year to mould together, a year to process, I guess. I would not call Fragments a fluffy book, not in the least. There aren’t many books that talk about death or reflect on how it impacts upon the human condition. You’d think then, that this is a big, heavy, grey book. I would disagree. It certainly has a challenging subject, something that we as humans don’t engage with; we choose to whisper, cloister, avoid all things death-related. Yet it happens to us all. There are six different but inter-related stories within Fragments that attempt to map out how bereavement, death and loss are unifying themes. How we experience them is different, we are after all, unique. The sense of loss however, does hang over us all. On a personal level, Fragments was book-ended by two very significant, very close bereavements. I did try to put shimmers of light in there, though. An ending, can be seen as new beginning, a change in a different direction. A loss, has the potential to grow-even killing weeds makes way for new seeds. There is growth, renewal and regeneration in the pages of Fragments. Three concepts that whilst tending my allotment, are very much part of the immersion process. It was only natural these would them permeate through the writing of Fragments. As the release date for the fifth book approaches, I am in something of a reflective mood. I am trying to consider, think back upon how things have moved on since I first decided to sow seeds, to write a blog and then make the move to writing books. All of which, comes under the umbrella of this blog, of Petal’s Potted Preserve as an entity. 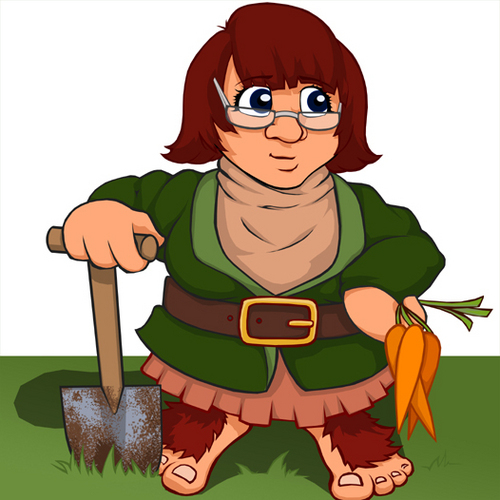 All of the books can trace their lineage to this blog; writing here about the allotment is what inspired me to dip into another medium. I wanted to transfer what I was doing here to another way of recording, sharing and communicating. Sharing was the key aspect; how far could my relationship with my allotment go, who might it reach, who might it help, might they learn from it? I am and always will be a bookworm; there is something purely magic about a book. I feel that is true for most books. Be it fiction, non-fiction, be it a textbook; there is a beauty within it. The mere thought of a library, makes me smile. I have yet to be part of one, but a girl can dream, yes? A lot has happened since the yellow book went public. The yellow book; playing with plant pots, turns three in two days. I’ll post about that later. Since plant pot tales was published, my job has changed. There have been two significant bereavements, I’ve trained to be a counsellor, and there has been an epic, really close family wedding. My life has been a constantly developing, evolving process and experience. All of which has meant I’ve dipped in and out of maintaining my allotment whilst also writing. As parallel processes, gardening and writing both involve sowing a seed, crafting and nurturing, whilst exposing your soul whilst putting your heart into something that believe in. There is a lot vulnerability too, in going out on a limb. I don’t think I have tried to follow the rules on my allotment. I didn’t write a traditional gardening book; none, of my books are traditional. Plant pot tales, is very much an extension of the blog. I have yet to identify the voice I use in that book. Read it out aloud, and you may just hear my paved-over Birmingham accent. It is me having a chat, telling you what I have recorded in the blog. There are recipes that carry the scent from Mama F’s kitchen. The book is a living experience, organic; it quite literally is the seeds of an idea. It is also imperfect. A baptism, of not knowing what to do, how to do it and learning as I went along. Least of all in a gardening sense. This was my entry into the world of Indie Publishing. I wouldn’t change it for the world. I took a punt writing it, putting it out there. 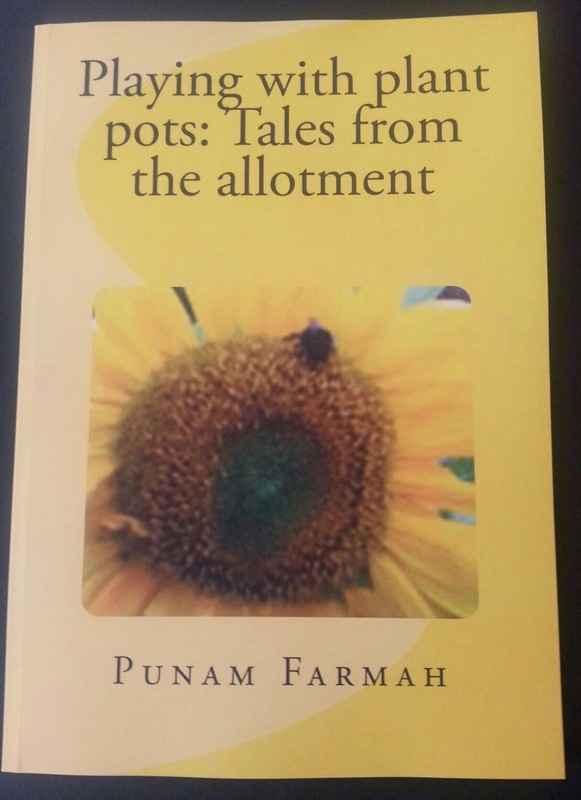 In having a conversation with my youngest sister, declaring that I would write an e-book about my allotment, see what happens as I had nothing to lose; I took a huge leap of faith, and couldn’t tell you if it was brave or stupid. I don’t know if I had courage. I just did it, and did my best whilst in the heady, green-fingered throes of determination. I wouldn’t have done it differently, I wouldn’t turn back the clock. Plant pot tales was the first. It was the herald, the pre-cursor to an interesting journey. It was six months before the arrival of the next one. I simply couldn’t sit still; there was still something in the tank, and it wanted out. The allotment had been abundant, there were courgettes all over the shop. I’d also starting making jams, jellies and spirit infusions. These were documented on the blog, but still needed to travel. I’d caught the bug, I wanted to write again. And so the green book came to life. After which, things become a little blurry. There was a gap of nothingness from April til December. From January 2016, I was locked into something altogether surreal, The blue-coloured book didn’t arrive until March 2017 but I was writing over the year. This was a furious state of productivity; I had to write, get things out, get them onto paper in black and white. There been two very close bereavements, a lot of unsettled-ness and I was embarking in Counselling training. Loss, bereavement, grief, the circles of life were crashing and colliding. That book was Fragments. Book number three, my first foray into fiction. There’s a lot of pain in that book; there is joy too, it’s not entirely bleak. I saw smudges of hope and light when writing, that echoes in the pages of the book. This was never going to be a happy, fluffy book. This is a book that seeps with the human condition. It is my attempt, I guess, to grapple with something that we as humans avoid. We avoid talking about grief, bereavement; the end of life. Here I was, making it public. As with it’s two predecessors, the book also has power. The power to reach readers, to be a part of their process, inform and assimilate into how they experience the world around them. I like to think, that people read my work and take something from it. One of friends and colleagues made a comment. “Punam, you must have had an interesting life to write a book like that.” I took that as a compliment, and continue to make life interesting. With Fragments out, I must have sat still for all of two weeks. Fragments had been a year of working hard, and for it to be over; there was a loss. There was a pain, a detachment from something that I had become invested in, something that had more or less governed each and every waking moment. I had an emptiness at having spilled my guts out. It physically hurt to have Fragments out there; as though it had been hoiked out from the depths of my soul. I had made something really important. What I needed to do at that point, was to heal. I needed to mend. I needed to stretch my writing muscles. I needed a giggle. Something to feel me with a light, maybe switch it on, help me extend. Something that felt hopeful and carried light. Along came the Peace Novella series. I had nothing to lose, a lot to gain. Creating Devan Coultrie was a huge, experimental shot in the dark. I was amongst seasoned writers, well established in the world of romance. Romance, a whole genre that I really didn’t know a lot about; a whole genre, congested with stories and with it’s own rules and regulations. I struggled with the idea of a happily ever after. Thankfully, a happy for now would work. I struggled with there being few characters of Indian-ascent in romance novellas. I struggled with colliding and combining British and Indian traits. I was throwing all sorts at this book, and not knowing where all the chips would land was beyond unnerving. I still can’t tell you how I did it. How I managed to write a piece of romantic fiction. So much so, I wrote another. I wrote book five. This, is me having another go. By the 3rd of September, I will have self-published 5 books. Each one has my name on it. I always look at the covers, a bit surprised to see my name. To have published one, was exhilarating. Two, helped me find a sense of purpose. Three, was a call from the universe, an attempt to put myself together; see my scars, dents and appreciate what makes me who I am. Four, was an experiment. No idea what Five is, just yet. When I know, so will you.